From wine tastings in amazing settings to unusual wine production methods, the Rhone Valley of France has unique wine tasting experiences waiting to be discovered. We’re always up for a tasting great wine and the wines from the Cotes du Rhone region of France are some of our favourites. But why taste wine in a traditional cellar, when you can enjoy your tipple inside a magnificent natural wonder, or a crumbling castle overlooking the vines. 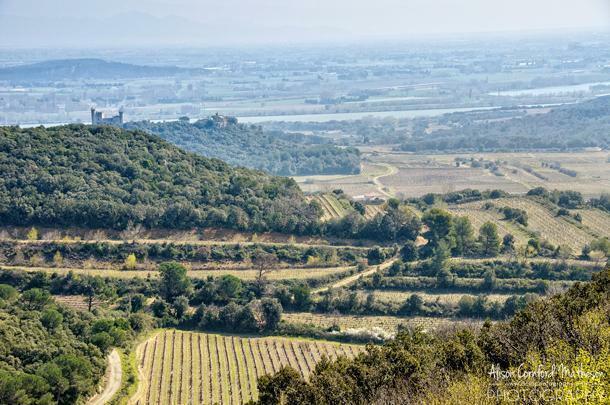 From wines made in the traditional Gallo-Roman style to the best rosés in France, we bring you 6 unique wine tasting adventures in the Vallée du Rhône. While it is not particularly adventurous, the Espace Rabelais will give you a solid foundation for discovering the wines of the Vallée du Rhône. 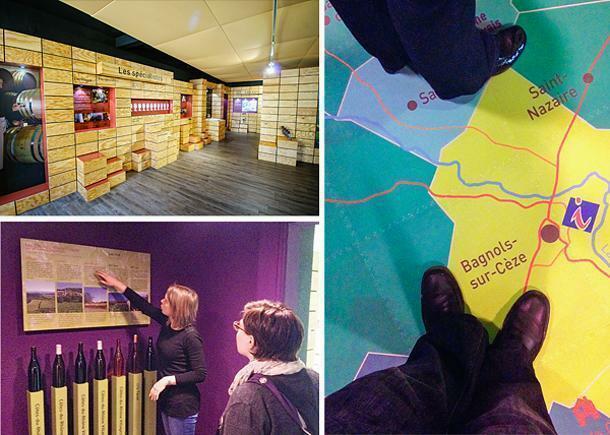 This little museum in Bagnols sur Cèze was inaugurated in 2013 and is filled with interactive exhibits on the terroir, grapes, vines, traditions, and winemakers of the region. Take the ‘sniff test’ to see how many aromas you can identify, (We failed) or see if you can pair wines from the region with local dishes. There is a special activity booklet for children and a good old-fashioned tasting room so you can begin your wine journey. Espace Rabelais also hosts a number of events and theme tastings open to the public, so check their calendar of events before you visit. “This is where you can really feel and experience the terroir,’ says winemaker, Raphael Pommier. 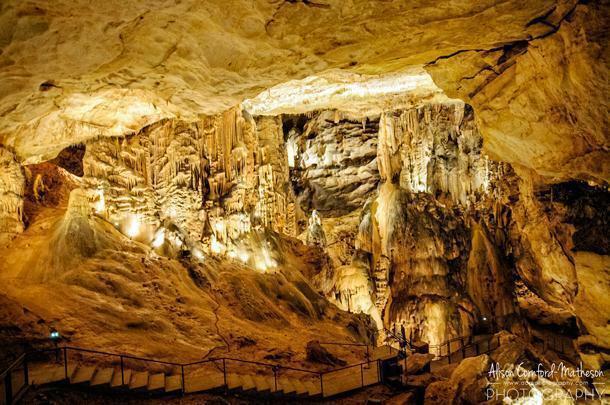 We are deep underground in one of the most magnificent caves I’ve ever visited – the Grotte de Saint Marcel d’Ardeche. A hunter discovered the cave accidentally, in 1836. So far, 60kms of galleries have been explored and some of the world’s oldest cave paintings have been discovered here. 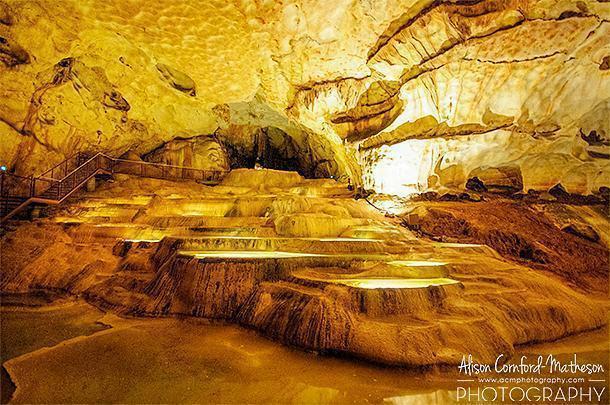 The caves are open daily from April to November, with guided tours in multiple languages. 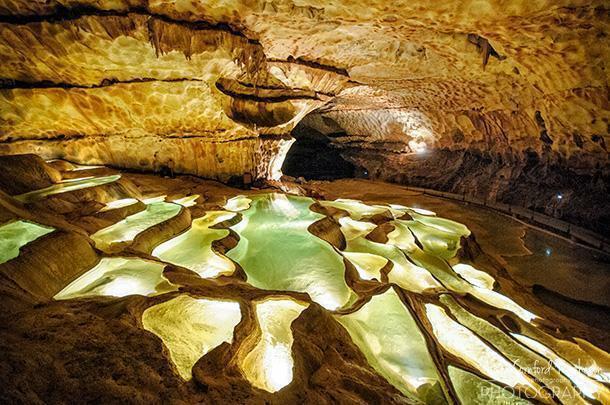 But although the caves themselves are splendid, that’s not exactly why we’re here. Raphael has taken his passion for winemaking and terroir to a completely new level – below ground. As we taste his wines, from Domaine Notre Dame de Cousignac, he explains his latest project – aging wines in the Grotte. He points to oak barrels tucked in a corner and we pass by a number of tasting stations on our route through the cave. The Grotte is the perfect cellar, explains Raphael, with a constant temperature, and it’s as close to the terroir as you can get. What a location for a wine tasting! This summer, Raphael will begin hosting tastings for small groups inside the Grotte de Saint Marcel d’Ardeche. Touch the terroir of the Vallée du Rhône, taste the rich and delicious wines, and be amazed by the power and beauty of nature. This experience is not to be missed. From deep underground, we headed high up into the hills, to the romantically crumbling Chateau de Gicon. 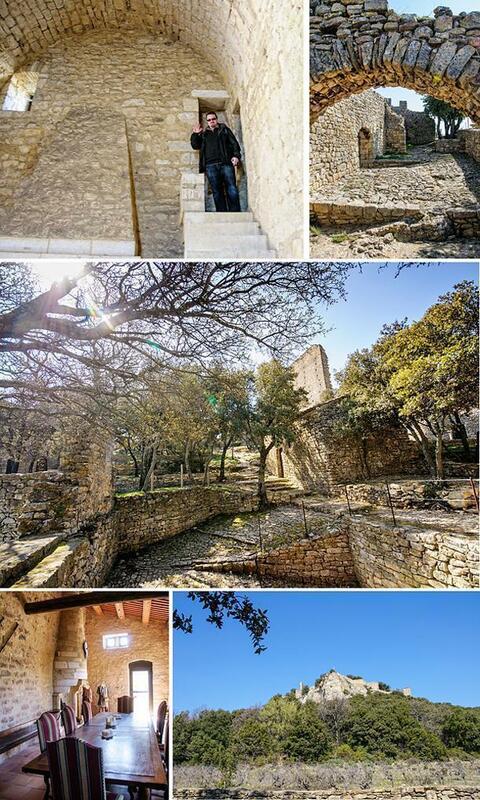 This 13th-century castle was left to ruin on its perch above the Rhone Valley. 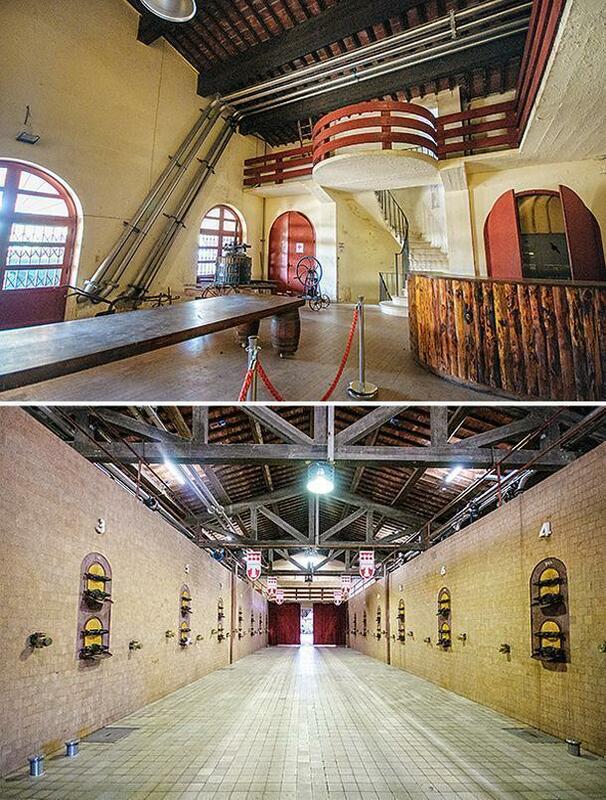 Winemakers from the Chusclan area banded together to buy and restore the castle overlooking their vines. 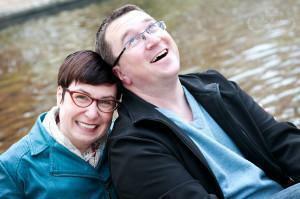 Restoration is an ongoing process, but the results thus far are incredible. We bumped our way up the rough dirt track to the chateau with winemaker, Grégory Brunel, and Julie Hautavoine, Communications manager for the Laudun-Chusclan wine growers. If you don’t have access to a 4X4, and you have a bit more time than we did, you can hike up to the Chateau de Gicon via a number of trails. The most interesting of these is the ‘Vine of the Senses’ trail, where you can experience the colours, scents, and tastes of the region’s wines. While the castle itself is lovely, not to mention a beautiful spot for a summer picnic, it’s the 360° view of the Rhone Valley that is the star of the show. 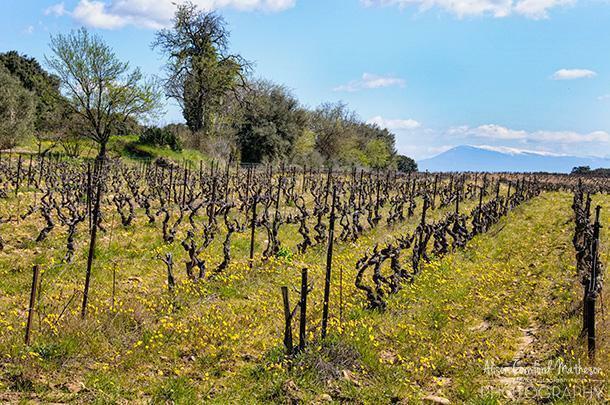 The vineyards stretch out endlessly, below your feet and, on a clear day, you can see all the way to Mont Ventoux. Don’t forget to stop at the Caveau de Chusclan for a tasting. 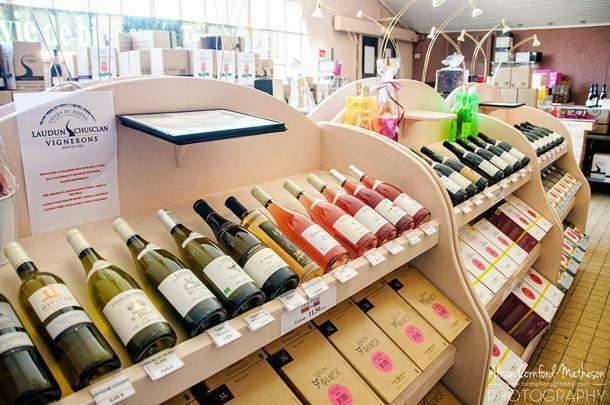 The excellent shop not only stocks a wide range of wines, but also regional products from pâtés to olive oil. 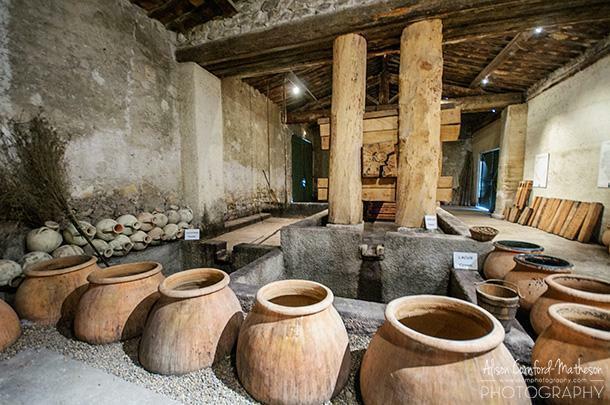 We all know we can thank the Gallo-Romans for Europe’s wine culture, but how many of us know how they made wine or what that wine tasted like. 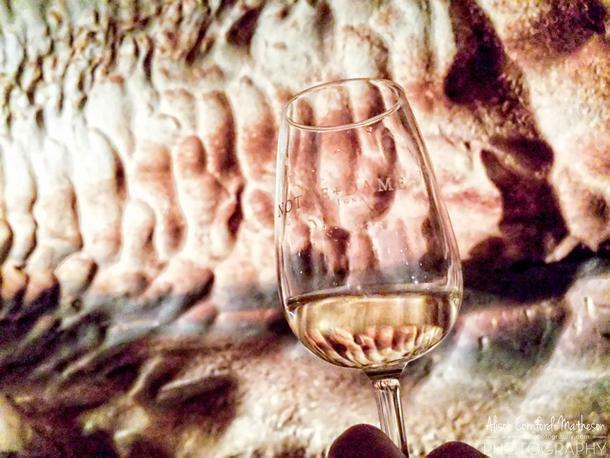 At the Cave Gallo-Romaine du Mas des Tourelles, we stepped back in time to find out. Diane Durand gave us a tour of the property where archeologists have been uncovering an ancient Roman vineyard. Her husband, a modern winemaker, became passionate about the traditional wines, and now, each September, they produce a small batch of wines using Gallo-Roman techniques. After touring the property and watching a short film on the Roman winemaking process, we joined Diane in her lovely shop, filled with regional products, for a tasting. We began with the ‘modern’ wines from Chateau des Tourelles. Our favourite was La Cour des Glycines, a Costières de Nîmes that was rich and complex. 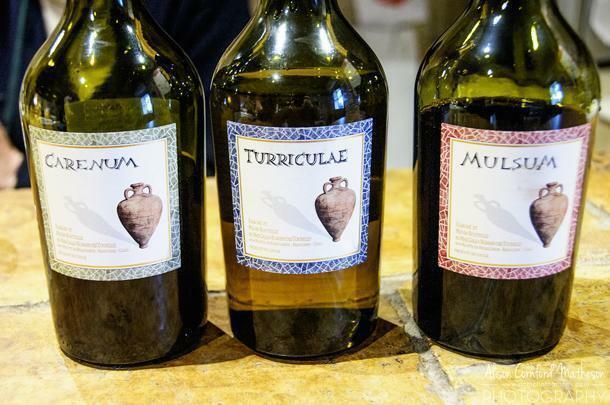 However, the biggest surprise was the three Roman wines. We began with Mulsum, a wine made with honey and herbs, with the flavour of thyme shining through. Second was Carenum, a sweeter wine with a rich caramel flavour and colour and notes of quince. Finally, we tried Turriculae. Here my curry-making skills came in handy, as I was the only person who could identify the flavour of fenugreek that, added with a bit of seawater, helped preserve the wine in Roman times. If you are interested in wine history, don’t miss a tasting of these unique wines. From the ancient Romans, we travelled ahead in time to the early 20th century. The Pères Missionnaires de la Sainte Famille began making rose wine at the 17th century Chateau de Manissy. Although a few of the Fathers still live at the Chateau, they are getting up in years (the youngest is 75). So, in 2003, the Fathers handed over the winemaking to Florian André, who continues the bio-organic winemaking tradition of the chateau. Under the watchful gaze of Mont Ventoux, Chateau Manissy’s vineyards produce three types of wine: Tavel, Lirac and Cotes-du-Rhone. All of which are excellent. There’s a Tête de Cuvée on display from our birth year… do you think they will let us taste it? Like Mas des Tourelles, however, there is a wine produced here unlike any other. The Tête de Cuvée is made by the same method the Holy Father’s used when they began making wine at the Chateau. It is sweeter and richer than the modern wines and tastes strongly of caramel. It’s well worth making a stop at the Chateau de Manissy to taste the wines, both old and new, and to stroll around the beautiful grounds. When you think of Rosé, you probably think of the light, summery, wines of Provence. But, in fact, France’s number one rosés come from the tiny town of Tavel, just across the Rhône River from Châteauneuf-du-Pape. Historically, Kings Philippe le Bel and Louis XIV, the Popes of Avignon, and writers Honoré de Balzac and Ernest Hemingway, have favoured Tavel’s wines. Unlike most rosés, Tavel has a deep, almost red colour, and benefits from being aged. 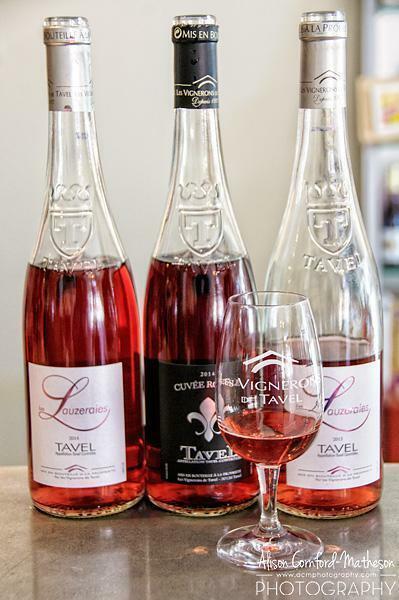 We tasted a range of Tavel rosés at the Cave de Tavel and we can say without hesitation, these wines get better and better with time. Our tasting with passionate Sommelier, Elisabeth Genin, was an eye-opening experience. Getting There: We took the TGV direct from Brussels to Avignon for a relaxing five-hour trip to the Rhone Valley. The added benefit of travelling by train – more room to bring home wine! 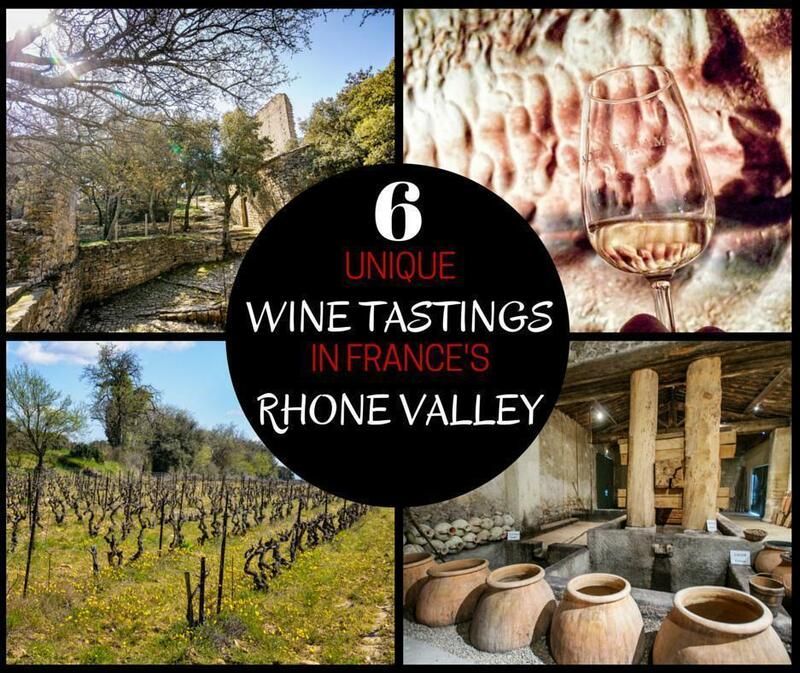 We’ve long been fans of Cotes du Rhone wines, but we had no idea of the variety available in this beautiful region. We have never before had such unique experiences tasting wines and we can’t wait to return to the region to discover more. Of course, great wines should be enjoyed with great food. Read our article on where to eat and sleep in the Rhone Valley. We promise there are more surprises in store. We’d like to extend a huge thank you to all of the people who welcomed us in the Rhone Valley and made our stay so enjoyable. This trip was made possible with support from Atout France and Inter Rhone, but as always, all opinions are our own.